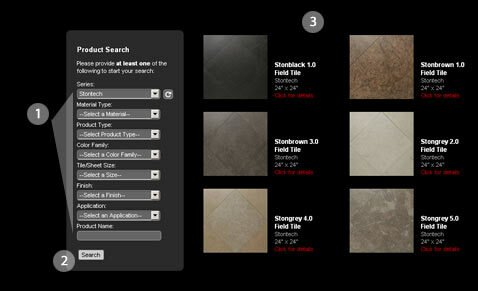 Use the product finder to the left to search for a specific product. Products can be found in just 3 easy steps illustrated in the diagram below. Choose at least one criteria from the different product attributes to the left or type a product name in the "Product Name" field. If you wish to revise your search simply click the refresh button next the criteria drop down you wish to remove or re-select a new option, and click the "Search" button again.